A truly massive range of wellingtons from some of the biggest brands including Hunter and the two big French brands Aigle and Le Chameau. We've subdivided the range to make it easier to find the right boot for you. Uninsulated wellingtons are the standard traditional wellingtons that just have a cotton or nylon lining. 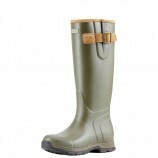 This section includes the most popular styles of Hunter wellies. Suitable for all year round use but you will need thick socks or footlets in the winter. 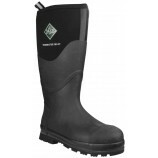 We offer some luxurious wellingtons with integral insulation. This tends to be neoprene (wetsuit material) or leather although there are some new high tech man made linings now available. Neoprene wellies can be too warm during the summer - this is less of a problem with leather lined boots. Neoprene really comes into own in cold weather and is a superb insulator. 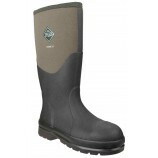 We also have a good range of wellingtons with steel toe caps. These are essential for some professions and many have protective midsoles which are compulsory on constructions sites. A selection of kids wellies is available to suit babies and toddlers right up to young adults. 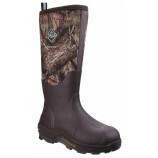 The range is completed with waders ideal for fishing.